Gamers worldwide were excited when Double Fine’s Tim Schaffer announced Grim Fandango Remastered at E3 last year. The game has been out for quite some time now and though it received mixed reviews, a majority of them were positive. So what’s next for Double Fine? 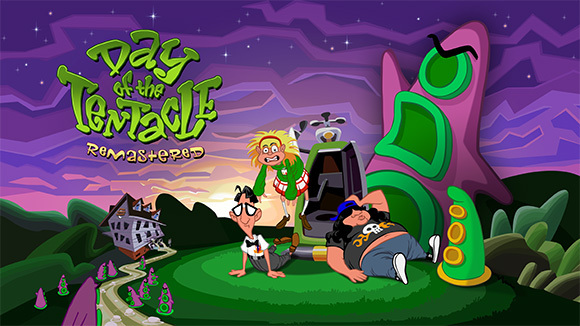 How about a remaster of the 1993 classic adventure game, and Maniac Mansion sequel, Day of the Tentacle. According to Polygon Tim Schaffer showcased the remake at the Indiecade convention, which took place in California last weekend. Tim has promised that the game will stay true to the original adventure, but will include new graphics, audio and additional features. Day of the Tentacle: Special Edition will be coming out on just about every current mobile, PC and console platform, though there is no ETA as of yet. In my opinon, since 2006 the Sonic the Hedgehog series has been cra… (lacking in the quality that gamers would expect – Paul). In recent years the only game that I have enjoyed is Sonic Generations. It seems that Sega have realised the poor quality of their recent Sonic games and are trying to make amends. According to SEGAbits, SEGA Europe has publicly apologised for the quality of recent Sonic games and they hint at going back to the series roots in time for Sonic’s 25th anniversary. (Quote: “It’s been tough translating that iconic side scrolling 2D experience from the 90s into 3D”. Here’s a thought Sega; how about you DON’T translate it into 3D? Mario still has a 2D series & he’s as popular as ever! – Paul). Sonic turns 25 in June 2016, so we won’t have to wait long to see if SEGA delivers the goods as promised. As a fan of SEGA I certainly hope they do. 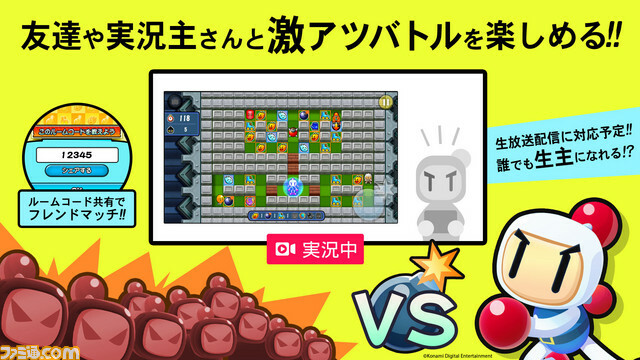 Konami has announced that they’re working on a brand new Bomberman game for mobile called Versus! Bomberman. According to Siliconera the game will feature cross play multiplayer between iOS and Android devices for online battles. In addition to that the game will feature 100 or so single player stages. It sounds a bit too good to be true, right? After all this time we finally get a new Bomberman game. Well, while Versus! Bomberman will be available at the end of the year for both iOS and Android in Japan there has been no mention of a western release. Finally for the week, Dragon’s Lair first debuted in the video arcades in 1983. The release of such a video heavy game was a bold move, remembering that the gaming world at this time was full of vectors, sprites and pixels. The game has been rereleased many times over the years, more recently to DVD players and smartphones. Fans have also developed homebrew ports for classic computers. Thirty two years later Don Bluth and Gary Goldman have taken to Kickstarter to promote a brand new campaign for the Dragon’s Lair movie. As the original game is already animated, it makes sense to make a film out of it really. The campaign rewards are quite varied, ranging from digital copies of the movie, Don Bluth’s TOON TALK magazine, Dragon’s Lair trinkets, and the eventual Blu-Ray release. While there is no mention of when the film will be complete, the Blu-Ray is scheduled to be released in August 2016. Visit the Kickstarter page for more information, and more details about the rewards.